King Uba Hang (ruled 849–865): Following the death of King Mawrong, Uba Hang became powerful and renowned in Limbuwan area. He subdued the Limbuwan area which was under King Mokwan San and became King. He is known for introducing new faith among Limbu people and bringing changes to the Kirant mundhum religion. He taught his subjects to worship the great spirit of Tagera Ningwafumang with flowers and fruit, but not with blood sacrifice. King Mabo Hang (ruled 865–880): King Mabo Hang succeeded his father King Uba Hang in Limbuwan. He ruled Limbuwan for 15 years with the title of Thakthakkum Mabo Hang. He was well respected and known in Limbuwan and many also believed him to be the reincarnation of god. He moved his capital from Chempo Jong in Ilam to Yasok Jong in Panchthar. King Muda Hang: After the death of Mabo hang his son Muda hang succeeded to the throne, but he was a weak king and unlike his father and grandfather he was not able to subdue all the rulers of ten Limbuwan. The ten rulers of Limbuwan declared independence in their own districts and began ruling independently. There was anarchy and chaos in Limbuwan as the rulers and clan chiefs tried to establish their own hagemony over Limbuwan. 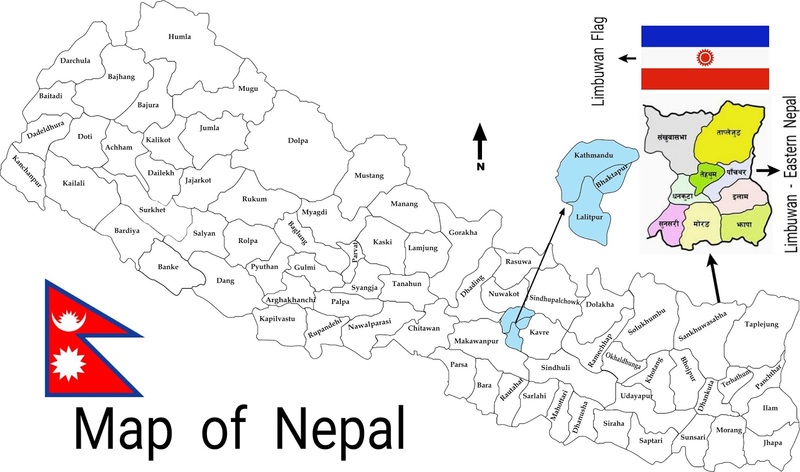 Thus Limbuwan disintegrated, and Lasa dynasty kings were reduced to being only kings of Panchthar area and the southern Limbuwan. King Wedo Hang: In the chaos and integration of Limbuwan, King Muda hang was succeeded by his son Wedo Hang. He ruled from Hellang palace in Panthar. In Panchthar district King Muda Hang was fighting Nembang hang Chief, the same chief fought with king wedo hang as well. When chief Nembang hang failed to defeat he plotted King Wedo Hang’s assassination, he married his sister Dalima to King Wedo Hang to be close to Hellang Palace. King Wedo Hang was murdered by his enemies while he was sleeping. Queen Dalima, sister of Nembang chief was pregnant with King Wedo’s child at the time of the murder. Chief Pathong Hang sat on the throne of Hellang palace ruling present-day Panchthar area. Queen Dalima left Hellang palace and went on to live in Chempojong palace in Ilam. Chempojong palace was the ancestral home of the Lasahang dynasty kings built by King Uba Hang. King Chemjong Hang: The fifth king of Lasa dynasty was King Chemjong Hang. He was born in Chempojong palace in Ilam, where his mother was living. When he was born his mother disguised him by dressing him as a girl, fearing that Chief Pathong Hang’s people would come and murder him. She told him that his father’s enemy would destroy him if they were to find out his true identity. He grew up to be a wise and strong individual under the disguise as a girl. His mother having told him of his late father’s followers in the northern part of Limbuwan, he made his way there and forged alliances with the chiefs. He made a surprise attack while everyone at Hellang palace was celebrating the marriage of one of the district chiefs. After capturing Hellang palace, he revealed his identity to all those present and they accepted him as the true ruler and heir of the late King Wedo Hang. Since he had no real name and that he was born in the old palace of Chempojong, the assembled chiefs decided to name him Chemjong Hang, which became his name. 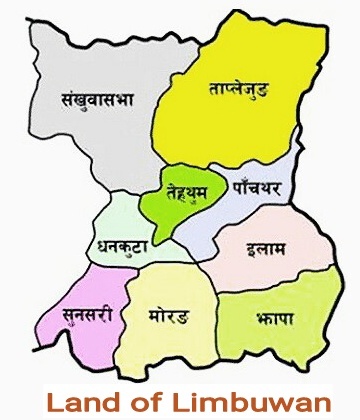 He once again tried to unite all of Limbuwan and succeeded in extending from present-day Panchthar, Illam, Dhankuta, Sunsari, Morang and Jhapa. Back in those days Morang composed of the lower terai lands of Sunsari, Morang and Jhapa, while northern Limbuwan was still in fragments.